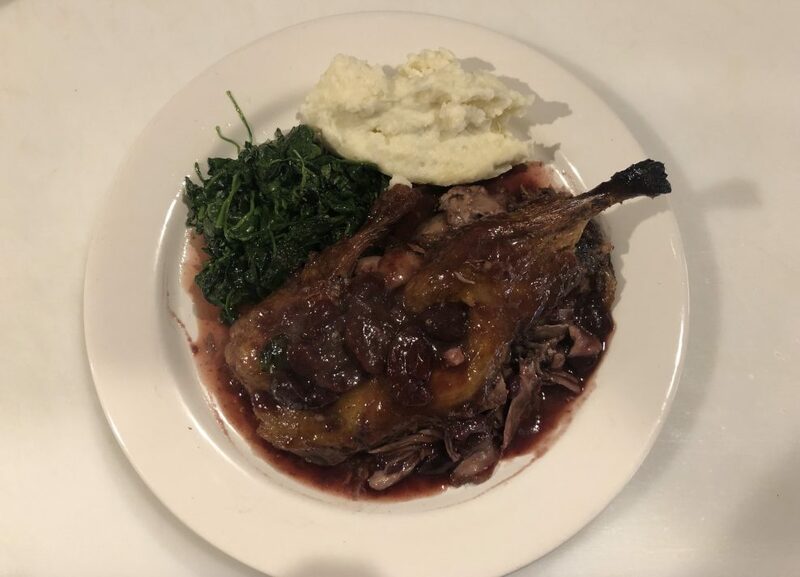 Half of a Roast Duck with tender meat of the leg and breast drizzled with a sauce aux cerises (Dark Cherry Port wine sauce). Served with a side of mashed potatoes and steamed spinach. Copyright © 2019 Vittorios Ristorante Pizzeria. All rights reserved.